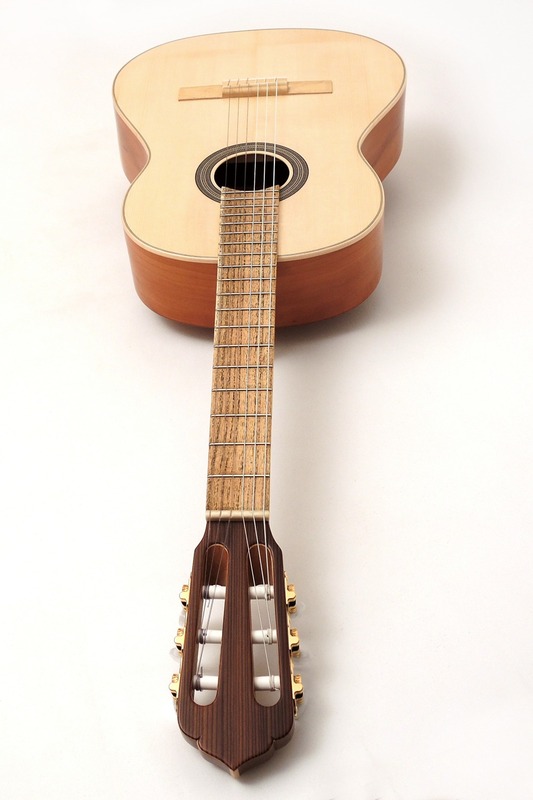 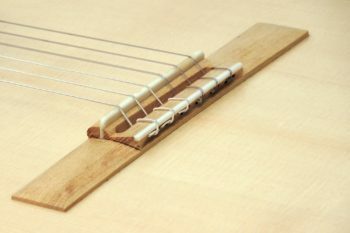 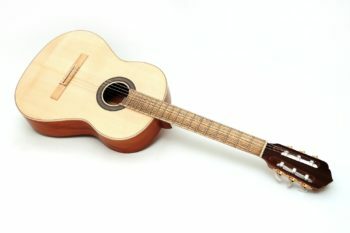 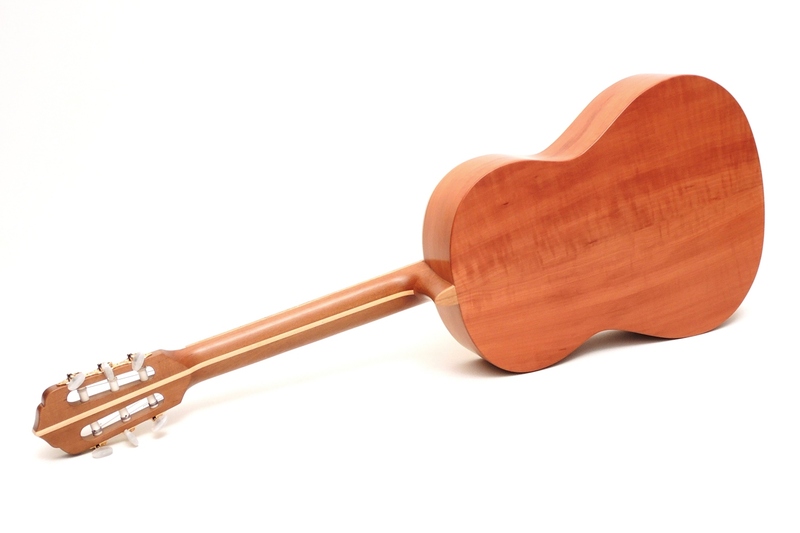 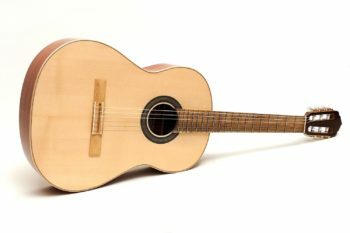 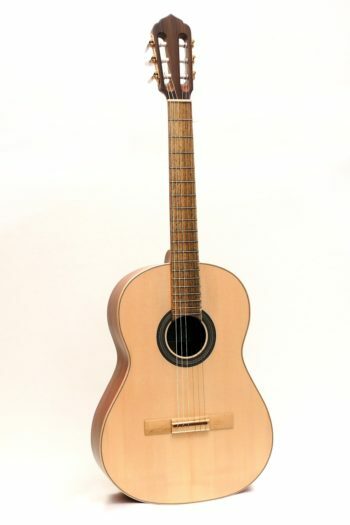 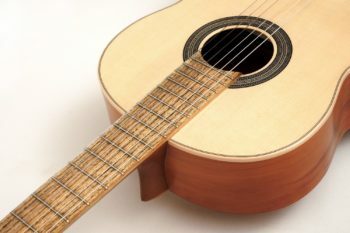 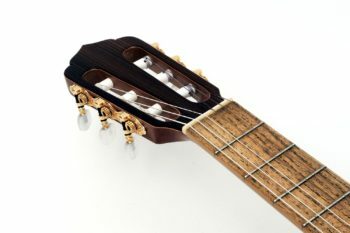 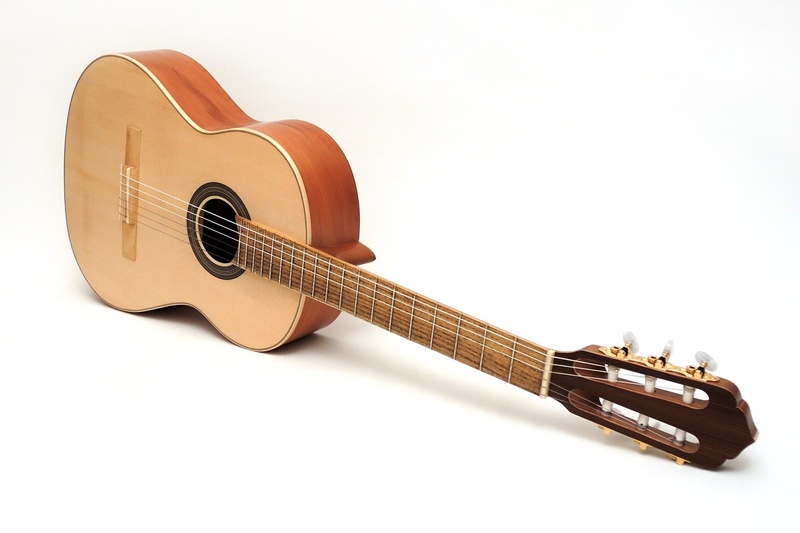 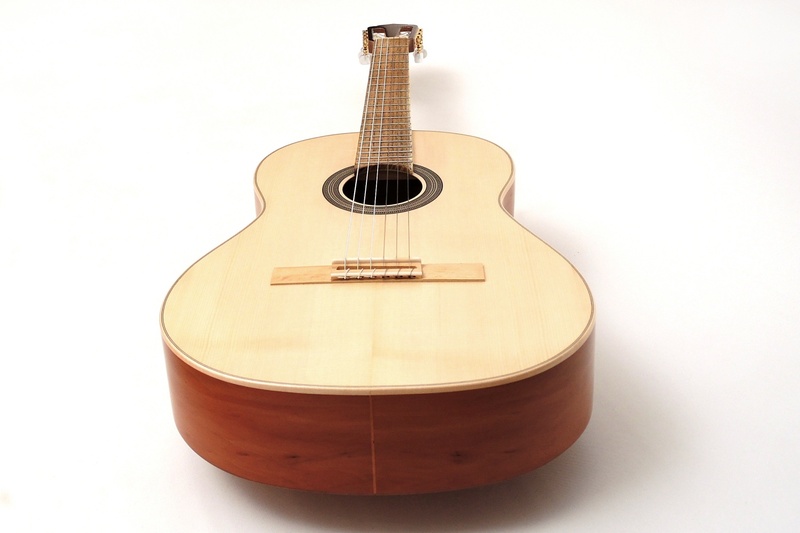 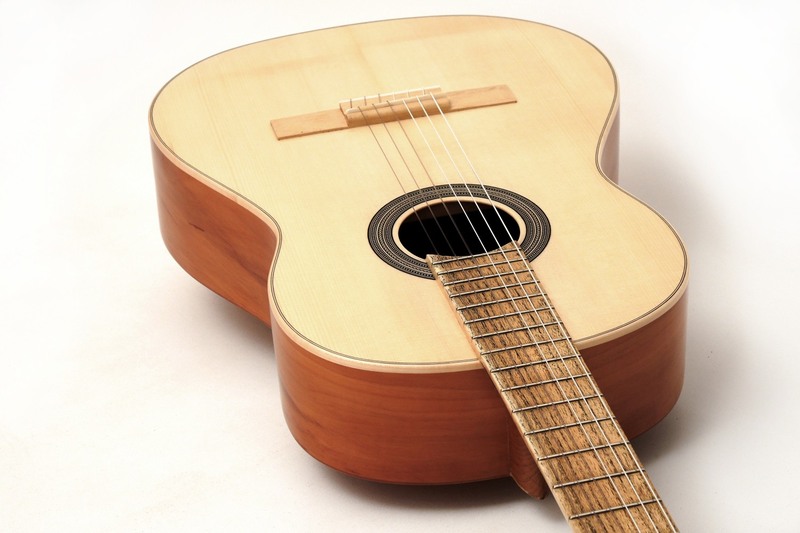 The classical guitar for students and other ambitious guitarists made of local woods, this time with Pear / Spruce an Alder neck and fingerboard and bridge of Black Locust. 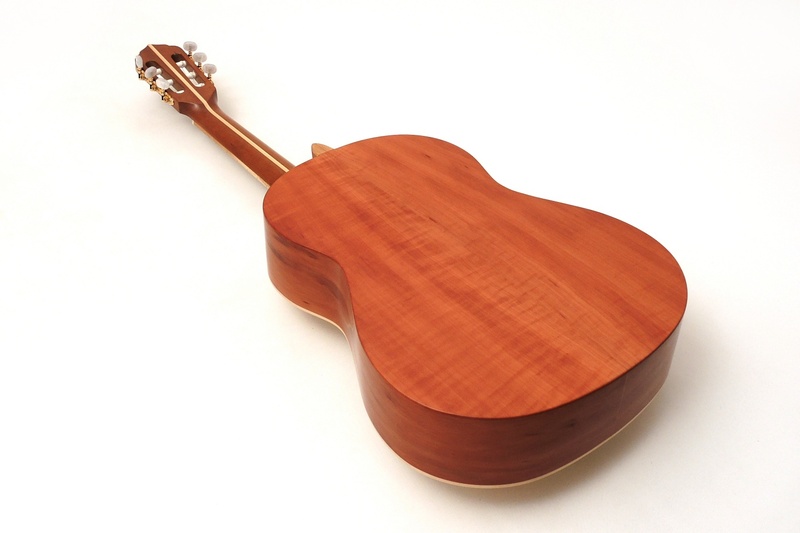 With luscious clarity and very present tone pear is an adequate substitute for East Indian Rosewood. 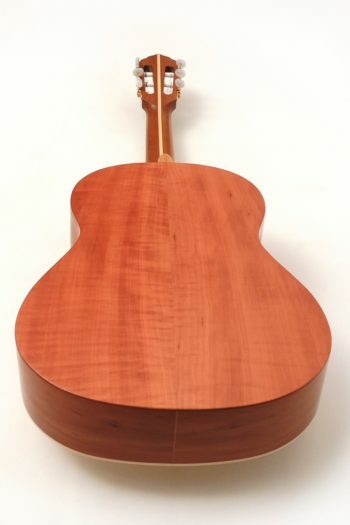 The woods used with this guitar are Pear for back and sides and Spruce for the top. For the neck we chose thermotreated Alder, fingerboard and bridge are made of Black Locust.  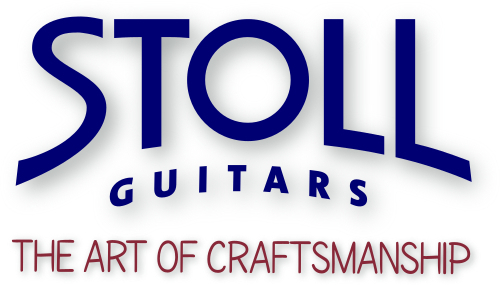 The headstock veneer is made of Maple and smoked Larch, the rosette is made of Maple and Pear. While East Indian Rosewood shines with high definition in treble, pear goes one better in the low range. 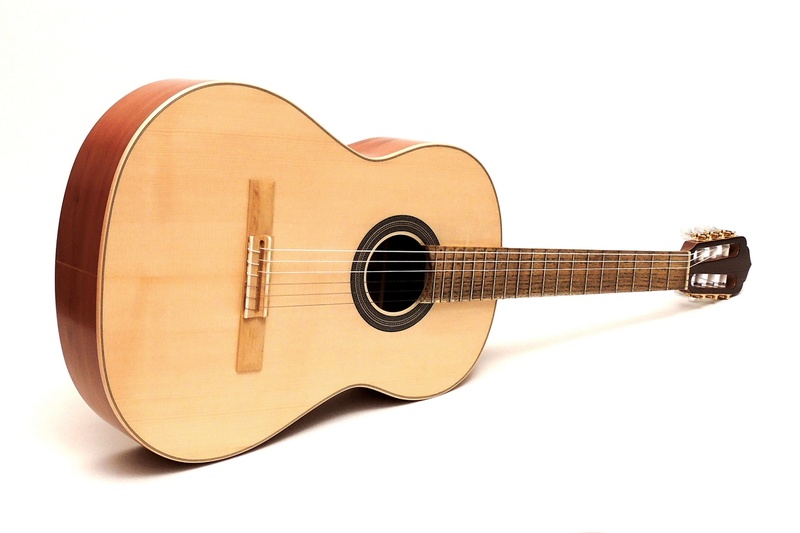 Even complex chords are beeing transmitted with ease and at the same time extraordinarly defined and present. This wood is for those who like it twangy.